Chicago Shakespeare Theater (CST), continues to assert its role as Chicago’s cultural ambassador, touring productions around the globe and bringing the world’s great theater companies to Chicago audiences. This timely exchange with Scotland occurs as the city prepares for the September 25–30 Ryder Cup Match at Medinah Country Club in Medinah, Illinois, and the Scots anticipate the September 2014 contest slated for Scotland’s Gleneagles, prompting many visitors and dignitaries to crisscross the Atlantic. 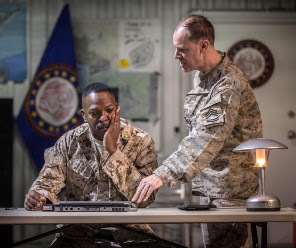 In keeping with the trans-Atlantic relationship, Chicago Shakespeare and Scotland’s theater community are engaged in a cultural exchange—one CST production,The Q Brothers’ Othello: The Remix, is now playing to wildly enthusiastic response at the Edinburgh Festival Fringe, the very festival that launched two critically acclaimed National Theatre of Scotland (NTS) productions that are slated for Chicago Shakespeare‘s fall 2012 World’s Stage series: The Strange Undoing of Prudencia Hart, and the return engagement of Black Watch. Chicago Shakespeare Theater is presenting The Q Brothers’ newest CST-commissioned work, Othello: The Remix, in a critically acclaimed engagement at the Edinburgh Festival Fringe now through August 27, 2012, where their production Funk It Up About Nothin’won high praise in 2009. The fresh urban take on William Shakespeare’s tragedy, smashed up and lyrically rewritten over original beats, began its European tour at the London 2012 Cultural Olympiad Globe to Globe festival. In Edinburgh, the production has received a five-star review from The Scotsman, heralding the production as “one of the smartest, funniest and fast-moving shows at the Fringe.” The Musical Theatre Matters awards honored the production with Best Musical and Best Lyrics Awards; and Stage Awards for Acting Excellence at the Edinburgh Festival Fringe has nominated the company for Best Ensemble Award. Chicago Shakespeare’s World’s Stage hosts two celebrated National Theatre of Scotland productions this fall, demonstrating the diversity of its work, redesigning each venue into a unique theatrical setting. The Strange Undoing of Prudencia Hart transforms the theater Upstairs at Chicago Shakespeare into a Scottish pub September 26–October 14, 2012. David Greig (writer) and Wils Wilson (director) deliver a riotous romp of rhyming couplets, devilish encounters and wild karaoke as Prudencia’s dreamlike journey of self-discovery unfolds among and around the audience. The multiple award-winning theatrical event Black Watch returns to Chicago’s Broadway Armory, 5917 N. Broadway, October 10–21, 2012. Directed by John Tiffany with movement bySteven Hoggett (collaborators on the Tony Award®-winning Broadway musical Once), the extraordinary performance takes place in an authentic armory on Chicago’s north side. Through compelling movement, language, image and sound, Black Watch explores the legendary Scottish regiment’s valiant history, based on playwright Gregory Burke‘s interviews with former soldiers who served in Iraq. The theater Upstairs at Chicago Shakespeare morphs into the intimate confines of a Scottish pub for National Theatre of Scotland’s The Strange Undoing of Prudencia Hart,September 26–October 14. Complete with pub-style seating and a bar, the production recounts the Faustian tale of Prudencia, an ivory-tower academic sweetly “lost” in her research on Scottish folk music, who finds her world comically unhinged as the love and mythology of her research springs to surprising life. The Strange Undoing of Prudencia Hart is the product of a weekend visit to a Kelso pub in the Scottish Borders by playwright David Greig, director Wils Wilson and composerAlasdair Macrae. What began as simple research on Scottish Border ballads soon became the inspiration for a story of love, music and the Devil. Writer David Greig’s recent work for National Theatre of Scotland includes Dunsinane (Royal Shakespeare Company), Peter Pan and The Bacchae (Edinburgh International Festival). Currently, he is working on a new Broadway production of Charlie and the Chocolate Factory. Director Wils Wilson, a Critics’ Award for Theatre in Scotland (CATS) recipient, has previously worked on National Theatre of Scotland’s Gobbo, devised and created with David Greig, and Home Shetland, created with Jackie Kay. Composer Alasdair Macrae won a CATS for Best Music and Sound for his work on The Strange Undoing of Prudencia Hart. The production’s creative team is rounded out by Designer Georgia McGuinness, Composer and Music Director Alasdair Macrae, Movement Director Janice Parker, and Casting Director Anne Henderson. The cast of The Strange Undoing of Prudencia Hartincludes: Andy Clark, Annie Grace, Melody Grove, Alasdair Macrae and David McKay. Chicago Shakespeare Theater’s limited three-week engagement of The Strange Undoing of Prudencia Hart runs September 26–October 14, 2012, in the theater Upstairs at Chicago Shakespeare. Tickets are on sale now for $45–60. All patrons receive a 40% discount on guaranteed parking in Navy Pier garages. For more information or to purchase tickets, contact Chicago Shakespeare Theater’s Box Office at 312.595.5600 or visit the Theater’s website at www.chicagoshakes.com. Chicago Shakespeare Theater welcomes back National Theatre of Scotland‘s powerful Black Watch, October 10–21, after its celebrated Chicago engagement in 2011. This remarkable theatrical event is based on playwright Gregory Burke‘s interviews with former soldiers and brought to life by the critically acclaimed director/choreographer team of the Tony Award®-winning Broadway musical Once, John Tiffany (NTS’s Associate Director) and Steven Hoggett (co-founder and artistic director of London’s Frantic Assembly). Black Watch is an impassioned, urgent telling of the legendary Scottish regiment’s story, deftly interweaving events both past and present with a live musical score of war anthems and folk songs. Battles leap to heartrending life, glorious bagpipes resound and the intimate moments of soldiers’ lives are laid bare as they discover what it means to make the journey home again. CST continues its longstanding partnership with theChicago Park District to present the internationally acclaimed production in Chicago’sBroadway Armory at 5917 N. Broadway in the Edgewater community—a space used for military training by the State of Illinois during World War I. Named the “#1 Theatrical Event of the Year” by The New York Times and a “thrilling, challenging and masterful piece of work” by The Times of London, Black Watch has been seen by over 200,000 people across three continents. From London to New Zealand, Black Watch has played sold-out engagements throughout the world—including last year’s CST presentation in Chicago, where the production was named one of the “Top 10 Chicago Theater Shows” of the year by the Chicago Tribune and was hailed by the Chicago Sun-Times as “a masterpiece of ensemble playing and physical theater.” In addition to four Laurence Olivier Awards for Best Director, Best Theatre Choreography, Best Play and Best Sound Design, Black Watch garnered the New York Drama Circle Award for Best Foreign Play in 2009. John Tiffany has led the National Theatre of Scotland’s artistic development team since its founding in 2006, commissioning and developing new pieces for the company. In addition to a Laurence Olivier Award, Tiffany’s accolades for Black Watch include a Critics’ Circle Directors Award and a South Bank Show Theatre Award. He has also directed the successful Traverse productions of Gagarin Way and Perfect Days, both winners of the Fringe First Award at the Edinburgh Festival Fringe. This year, Tiffany won the 2012 Tony Award® for Best Director for his work on the Broadway musical Once. The cast of Black Watch includes actors and brothers Ryan Fletcher and Scott Fletcheras Cammy and Kenzie, respectively, in their first Black Watch tour together. Additional cast members include: Cameron Barnes as Macca, Andrew Fraser as Fraz, Robert Jack as Writer and Sergeant, Stephen McCole as Officer and Lord Elgin, Adam McNamara as Rossco, Richard Rankin as Granty, Chris Starkie as Stewarty and Gavin Jon Wright as Nabsy. The production’s creative team is rounded out by Associate Director (Music) Davey Anderson, Staff Director Joe Douglas, Casting Director Anne Henderson, Set DesignerLaura Hopkins, Lighting Designer Colin Grenfell, Sound Designer Gareth Fry, Costume Designer Jessica Brettle and Video Designers Leo Warner and Mark Grimmer for Fifty Nine Productions Ltd.
Chicago Shakespeare Theater’s limited eleven-day engagement of Black Watch runs October 10–21, 2012 at the Broadway Armory (5917 N. Broadway). Tickets are on sale now for $38–52, with special discounts available for groups of 10 or more. For more information or to purchase tickets, contact Chicago Shakespeare Theater’s Box Office at 312.595.5600 or visit the Theater’s website at www.chicagoshakes.com. Supported by the Scottish Government, National Theatre of Scotland has been involved in creating 181 productions in 156 different locations since its launch in February 2006. With no building of its own, the Company takes theater all over Scotland and beyond, working with existing and new venues and companies to create and tour theater of the highest quality. It takes place in the great buildings of Scotland, but also in site-specific locations, airports and tower blocks, community halls and drill halls, ferries and forests. The company has performed to over 770,000 people, across three continents. 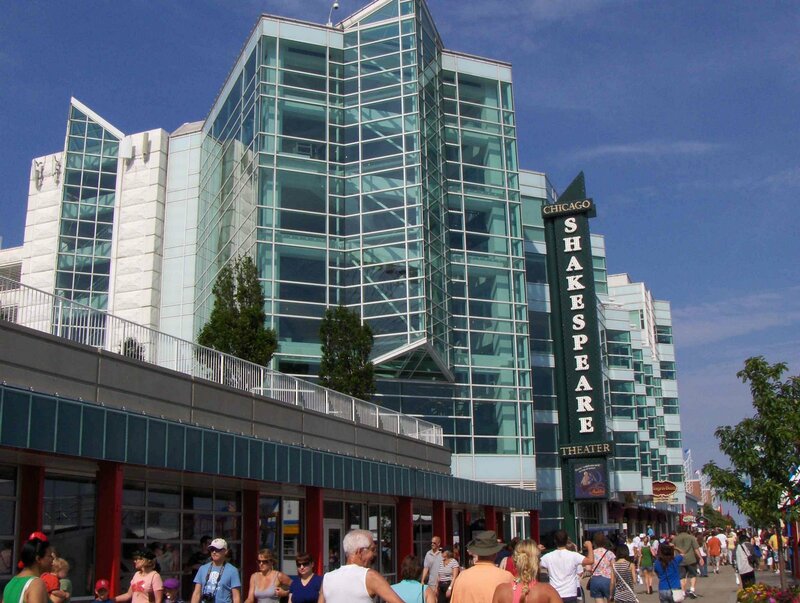 Chicago Shakespeare Theater is a leading international theater company, known for vibrant productions that reflect Shakespeare’s genius for intricate storytelling, musicality of language and depth of feeling for the human condition. Recipient of the 2008 Regional Theatre Tony Award®, Chicago Shakespeare’s work has been recognized internationally with three of London’s prestigious Laurence Olivier Awards, and by the Chicago theater community with 62 Joseph Jefferson Awards for Artistic Excellence. Under the leadership ofArtistic Director Barbara Gaines and Executive Director Criss Henderson, CST is dedicated to producing extraordinary classic productions, new works and family fare; unlocking Shakespeare’s work for educators and students; and serving as Chicago’s cultural ambassador through its World’s Stage Series.